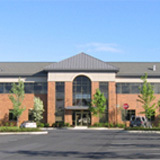 Women's health care services conveniently located in Chester County. Penn Ob/Gyn Chester County is proud to provide obstetrics and gynecologic care to the Chester County region. We offer personalized and integrated care for women of all ages. Our women's health providers deliver comprehensive care, excellent service, and the compassion and personal attention you deserve. Our team of board certified providers focuses on prevention and general wellness to help women maintain healthy lifestyles. Penn Ob/Gyn delivers exclusively at Chester County Hospital and is excited to now offer mothers private maternity rooms. Take a video tour of the new Chester County Hospital Mother and Baby Pavilion.